The RediGrill is a fun way to cook with friends and is super-easy to use. Everyone loves a good cookout, but not everyone can grill their food outside year-round. That's why the Tenergy RediGrill is such an innovation. 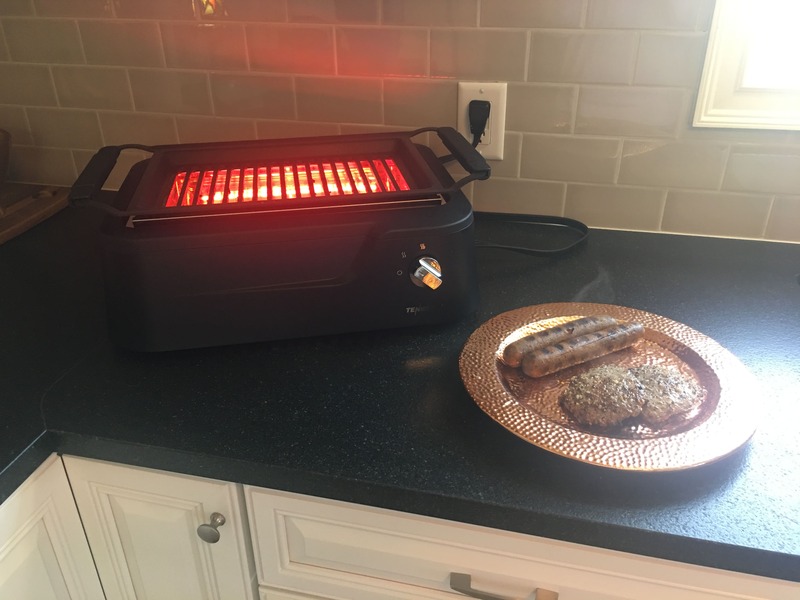 Available through Amazon, this indoor electric grill lets you bring your cookouts inside with its smokeless technology and even heat distribution — but how well does it really work? Keep reading for our hands-on experience with the Tenergy RediGrill. Tenergy is a lesser-known name in the culinary world, and actually specializes in batteries and household electronics. We've previously seen several popular deals on Tenergy products in our forums, featuring items like digital kitchen scales, electric kettles and even robotic vacuum cleaners. Our community seems fairly happy with the brand, with user venya saying, "FWIW I own a bunch of standing lamps and a desk lamp from Tenergy. [They've] been great." Slickdealer daleindaclub adds that "Some of their other items for sale have good Fakespot scores," which ultimately made him "bite the bullet" on a Tenergy purchase. 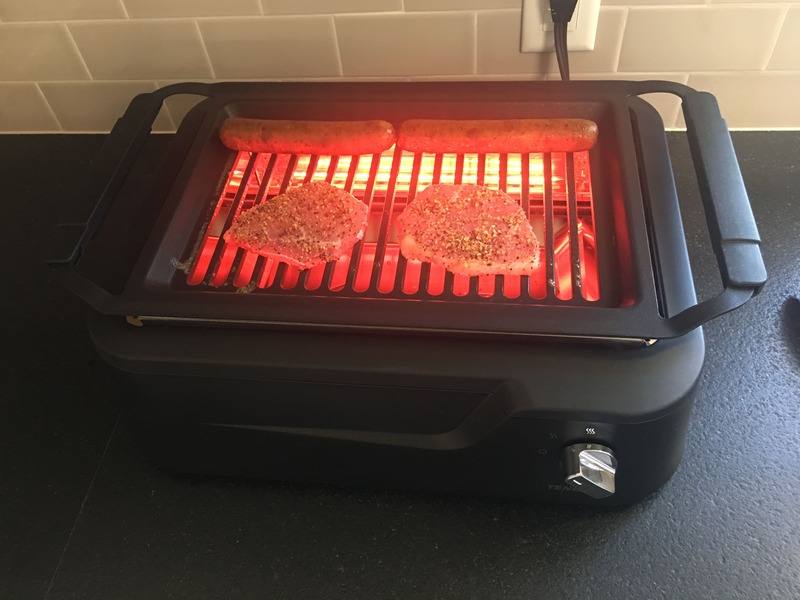 How Does Tenergy's Smokeless Indoor Grill Work? 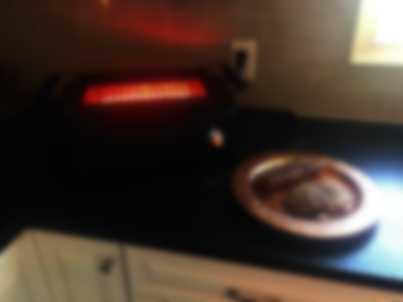 Tenergy's smokeless indoor grill uses infrared technology to create "80% less smoke than other indoor electric grills." 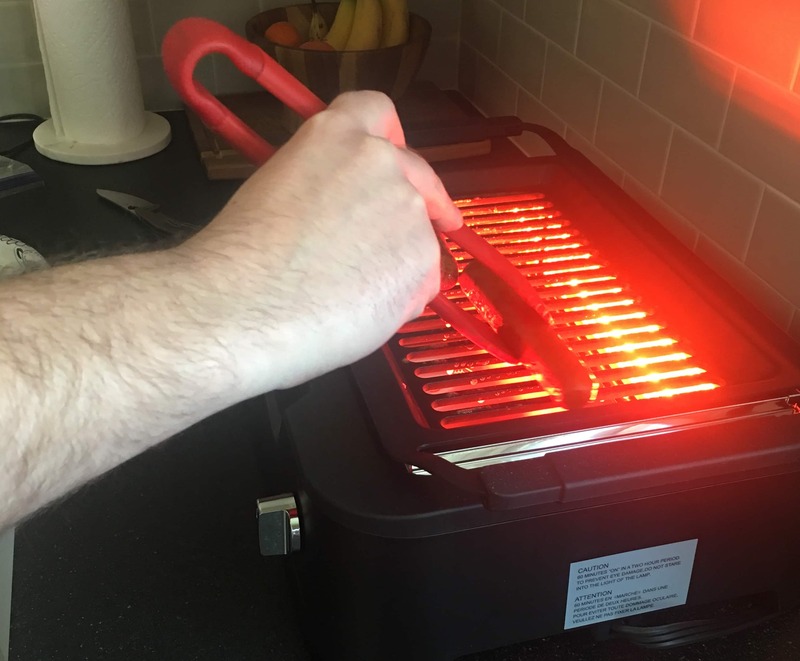 According to its product description, the infrared heat is only directed at the grill rack's surface, and oil and grease are collected in the cooling tray before it has a chance to generate smoke. RediGrill also claims that its uniform heat distribution evenly cooks meats, fish, poultry and vegetables without cold areas or weak spots. 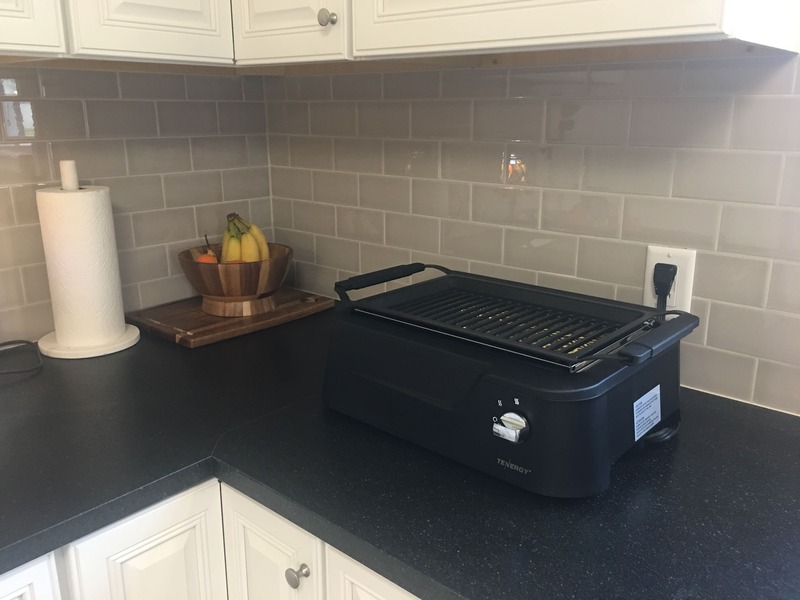 Additionally, the Tenergy infrared grill is certified safe by North American ETL standards and is designed with built-in overheat protection that automatically shuts the grill off if the internal temperature gets too high. Personally, I was pretty happy with the overall look and size of this grill. At 19.5" x 13.5" x 7" and just 13 lbs., it was easy to position on my countertop and didn't take up an obnoxious amount of space. In fact, I found it to be relatively light for its size and not too big to store away for future use. The grill itself features only three pieces: a base, a drip tray and an aluminum rack with a non-stick coating. A user manual is included, as well, with specific instructions on cooking times, cleanup tips, etc. After washing the rack, we put it back on top of the base and plugged it in. The controls feature just three options: off, low heat and high heat. Just turn the knob clockwise to the desired heat setting and allow the grill to warm up accordingly. It only takes six minutes for the RediGrill to reach an ideal grilling temperature of 446°F. It was easy and efficient. Tenergy claims that its RediGrill can cook fish, chicken, meats and vegetables to perfection, so we decided to put it to the test with a combination of steak, tofu and chicken. Round Steak: My husband's steak took a couple of tries to get it just right. Thin-sliced meats seem to cook better than thicker cuts, but they also require less time on the grill. Tenergy's recommended cooking time lead to the steak getting overdone and tough, so we scaled back the next round accordingly. After making the adjustment, the RediGrill heated the steak evenly in no time. Tofu: Unlike my carnivore husband, I'm a vegetarian who enjoys veggie dogs off the grill instead. I decided to try some Tofurkey Italian sausages, and I absolutely loved the result. They cooked evenly with beautiful grill marks, and the taste was a major upgrade from what I usually get with the microwave. Chicken: The chicken breast naturally took longer to cook all the way through, but turned out perfectly tender with gorgeous brown sear marks, as well. For best results, Tenergy suggests allowing the grill to preheat for five minutes before cooking your food. It also recommends fully defrosting your meat to room temperature and patting it dry with a paper towel before grilling. 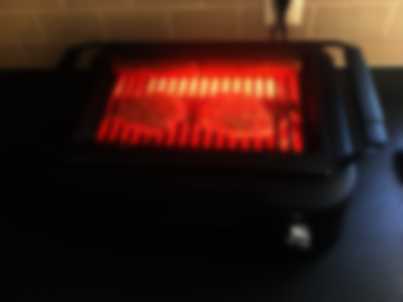 The company recommends waiting at least 30 minutes to clean the RediGrill so that it can adequately cool down after use. I actually allowed the grill to sit for a few hours while we hung out with some friends, and it still washed clean with relative ease. The RediGrill is made with dishwasher-safe parts, too. 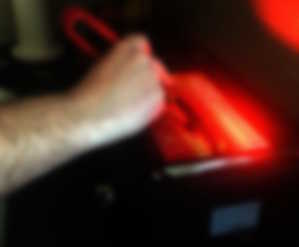 My biggest gripe is with the RediGrill's infrared lighting, which made it difficult to watch the food's progress. We eventually placed it near our kitchen window, which helped a bit with its visibility. But the infrared brightness was admittedly annoying and downright blinding at its highest level. The grill is a good fit for small groups of three or four, but larger families might want something roomier. It also uses 1660 watts of rated power, which may be a slight turn-off to those watching their energy consumption. Should You Buy the Tenergy RediGrill? Overall, the Tenergy RediGrill is a solid option for people who live in seasonal climates and can't cook outside year-round. 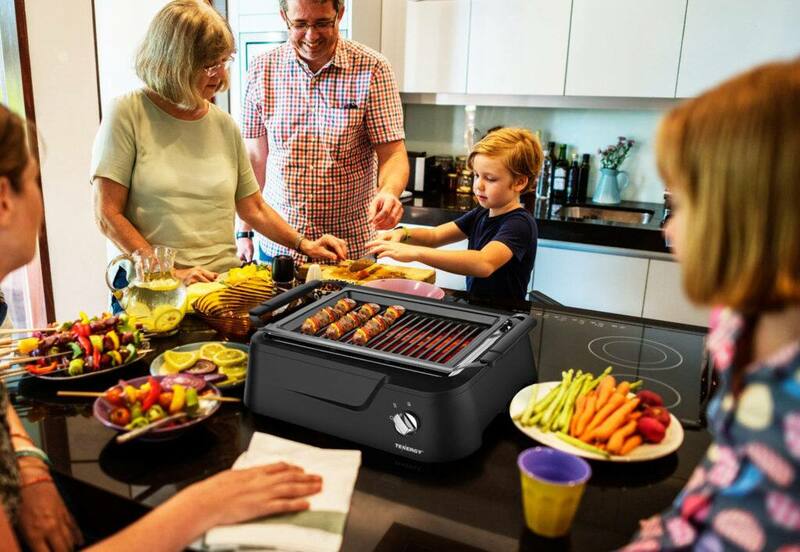 Its smokeless technology makes grilling indoors possible, which is great for making healthy meals fast. Plus, it's a fun way to cook with friends and enjoy your favorite grilled dishes any time you please. You don't get the charcoal flavor, but the grill marks add a little something special. Another perk of the Tenergy RediGrill is its overall affordability. This handy design is regularly priced at $179.99, but we recently spotted it on sale for only $134.99. In other words, go ahead and set a Deal Alert now to stay updated on future Tenergy discounts.